I’m a Girl Trekker from New Jersey. There are so many walking venues in Southern New Jersey. 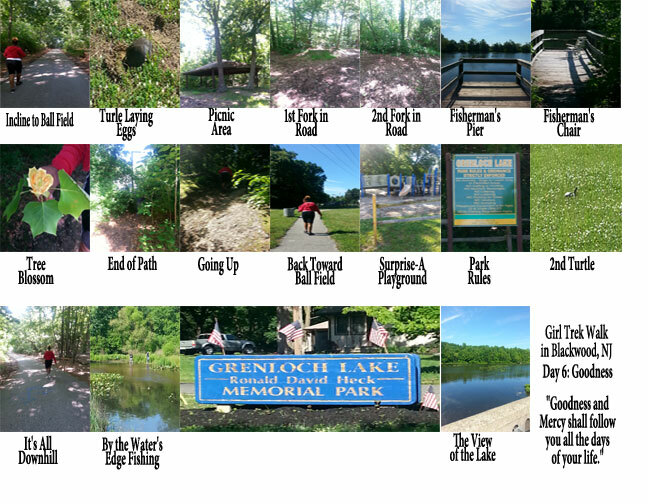 Grenloch Lake Memorial Park is just one of many we will seek out and share our pictures. 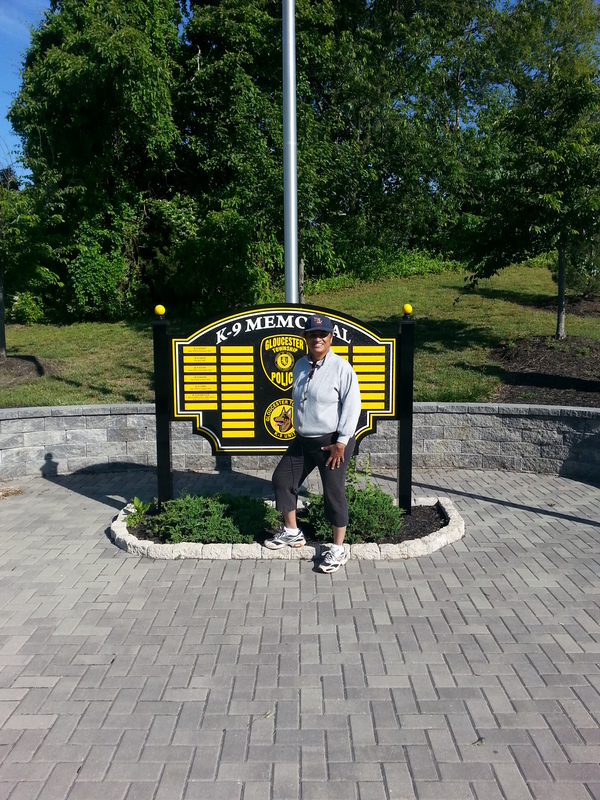 Grenloch Lake Memorial Park – a great place for a short walk. F.Y.I They stock the lake with trout. Today’s Fruit of the Spirit was Kindness. I apologize for going directly into the next day, I jumped the gun. It has been a long day. My write up for kindness was sent to my team members last night. I have to admit myself they are so closely entwined. There is a good study on the Goodness of God and the Study of Psalms 107. So as you complete your walk today, why not turn to Psalms 107 to read and meditate on it. Then download or read on line the paper written by Ron Hutchison. Even with storm clouds surrounding us, He gives us peace. Today’s Fruit of the Spirit is “Peace”. In Greek the word is EIRENE and pronounced I-ray-ray…meaning prosperity, quietness, rest, or to be set at one with yourself again. I like the last description, “to be set at one with yourself again”. It is so hard to stay within your wants and desires in life, let alone work on figuring out God’s design for your life. 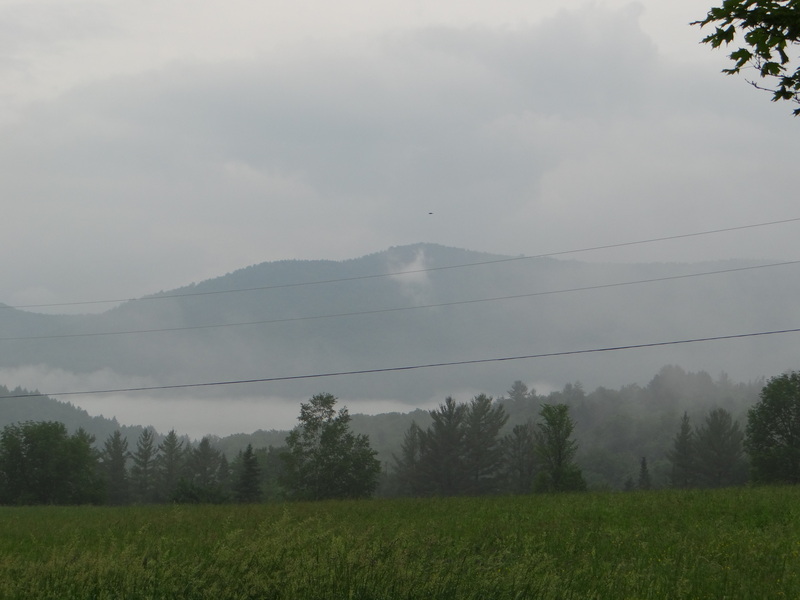 The beauty of doing this walk allowed me to think about peace. The nine Fruit of the Spirit are characters which we receive from the Holy Spirit to walk in the character of Christ. I know I have not matured in all the ways of all nine fruit. I do however recognize my growth in my walk with Christ. Peace manifests itself in my heart and radiates through my body, my mind and my spirit because of my growing relationship with Christ. I still have a bad temper, nevertheless it has been reduced by my growth in my fruit Love and Joy. 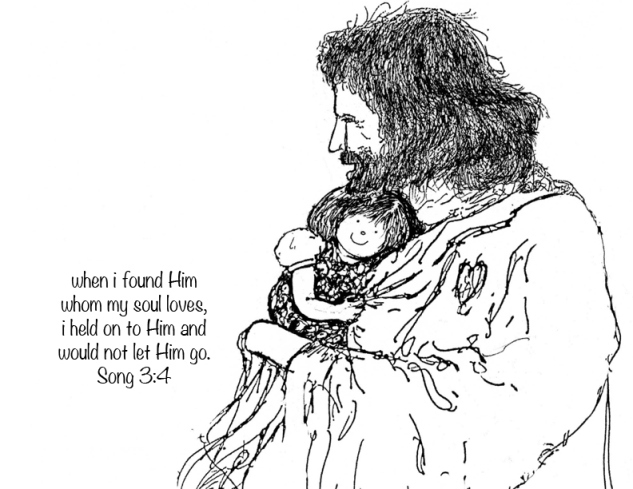 I love the God with all of my heart, mind, soul and spirit. I find joy just by know He has forgiven me and will continue to forgive me my bad decisions and choices made in the past, and will make in the future. I know my bad choices in behavior and attitude result in disappointment in my relationships with people, especially my family. However, I also know as soon as I go to the Lord and ask forgiveness and understanding, He uses it as a teaching moment and those incidents have happened less and less. The anger and hurt are no longer present, just realization at that moment, “it is what it is” and I cannot change them or the situation. I have peace within me and that is all that matters. On Day 2 of the 9 Day Prayer – Observing the Fruit of the Spirit. Our prayer focus is JOY! 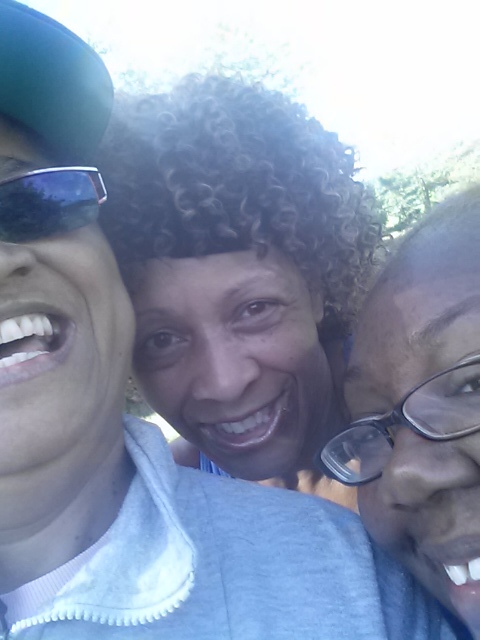 We (Shanice and I) met Yvette who inspired us to walk beyond the 30 minutes and walk 4 miles. 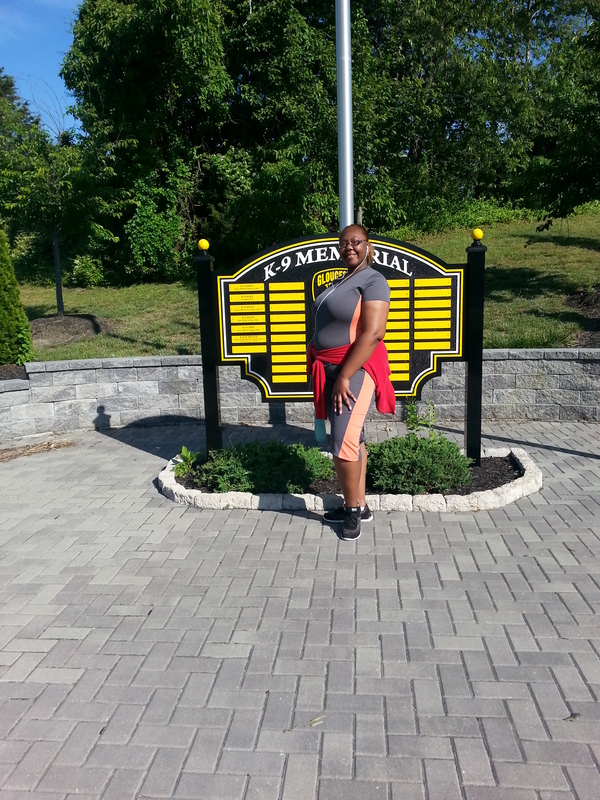 Yvette was in a car accident 12/2012 and is now up to four miles a day. She sparked such joy in our hearts, we were committed to do no less. Yvette gives me encouragement that Donald will walk again. I will be meeting with a videographer to put together a fundraising campaign for Donald. He is out of work now and will need help financing his project. I will do what I can do. I just know that during and at the end of the project, there will be exceeding Joy. The Lord gives us challenges so we can grow. My heart is continually fueled by the joy of the people and projects he delivers to my door step. Tomorrow’s walk focuses on PEACE. Peace is one of the most challenging Fruit of the Spirit, because our days are filled with negative interactions in our home, our jobs and in the world. 2 Corinthians 10:30 says, “For though we live in the world, we do not wage war as the world does.” God’s will is for us to address our issues through Love, the first Fruit of the Spirit; and Peace. Unfortunately, we are disobedient most times and wage war using our own understanding. Tomorrow we walk praying for the knowledge of how to grow in the spirit of Peace. I hope you join in the movement to walk for your health; spiritually, as well as, physically. and a blessing to fellowship with on our walk.